113 - The Root of it all... Cole Wehrle, desinger of Root joins us! We Haba Conversation with Tiffany Caires! Who will be, the Master of Wills?!? Don't forget our big Tiny Epic Contest! 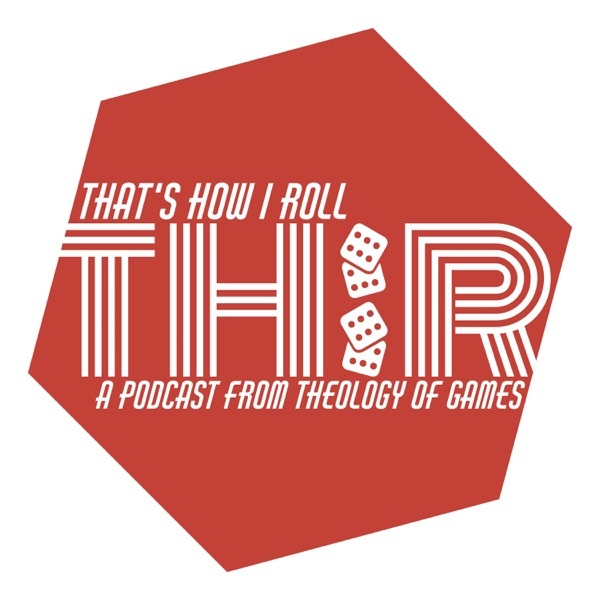 Head over to TheologyofGames.com for details and our entry page! The Mothership Brings Alan Gerding to the Show! I Crashed Up My Car! Happy Thanksgiving! We've Got Some Winners! Imhotep: A New Dynasty - We're ALMOST 100! I Spy with my Little Eye, a CLUB! Michael Coe, Gamelyn Games and all things Tiny Epic! Are you getting "Wordsy" with me? Hey you guys, it's Brenna Noonan! Does Mike Young of Plan B Games, have a plan B? 085 - Dungeon Raiders, Again!! Our Origins coverage on Saturday! Check out our Origins coverage on Thursday! It's our Origins 2018 Preview! Step into the "Arena: For the gods"
We are LIVE! And it's Thunderstone Quest time! We may be out of our "Element"
What is an "Ethnos" anyway? Who will reign over the "Valeria: Card Kingdoms"
You can panic now... "The Captain is Dead"
John D. Clair takes us to Edge of Darkness! Are you "Running with the Bulls"? Are you afraid of the "Red Scare"? Photosynthesis? What kind of show is this? My Top Ten Games of 2017! Christmas Gift Guide pt. 3 2-Player Games! Christmas Gift Guide 2017 - Gamer Games! We're Home with some Campy Creatures! How long does this 5 Minute Dungeon take? We Had a Fire... that's not a game title. Yokohama and the Feedback Loop! Spring Break we played Star Wars the Role Playing Game! Yo, Holmes! We had a little Instagram Controversy! Michael Coe of Gamelyn Games! Take Your Kids to the Theatre! Bryan Drake is Riding Shotgun! Periscope, Letters From Whitechapel and more! Let's Talk About What We Talked About! Alan Gerding and a BIG announcement! Mad-Libs, Ice Breaker Games and a big tease! What are the best Game Expansions? We're Trying to Live in a Society Here! Hey It's Jason Kotarski of Green Couch Games! It's the VERY First Episode! !